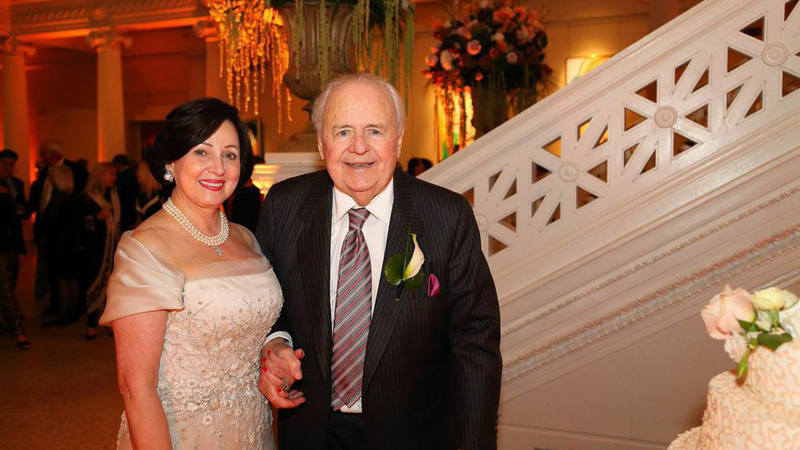 History repeated itself in several ways Wednesday when the owners of the New Orleans Saints, Tom and Gayle Benson, renewed their wedding vows in honor of their ten-year-anniversary. 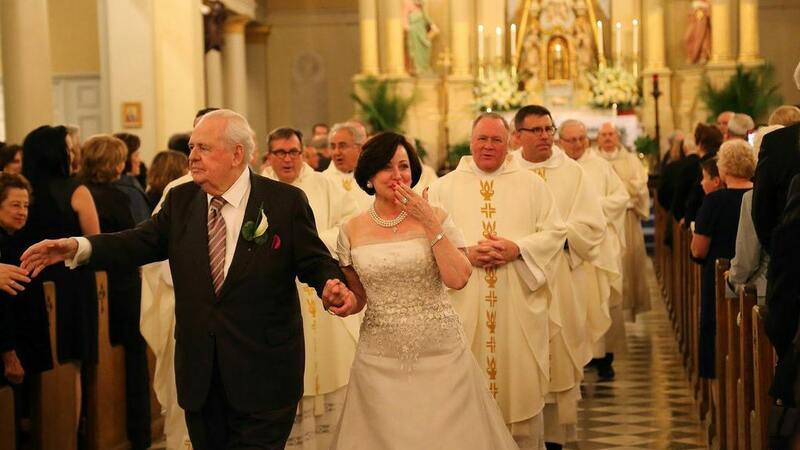 The Bensons exchanged their renewal vows at St. Louis Cathedral in the French Quarter, where they first met more than a decade ago after an early morning mass. Benson saw Gayle Marie LaJaunie Bird during a reading of Scripture during 7:30 am services and stayed after mass was over just to meet her. After a brief courtship, Benson later married then Gayle Bird on October 29, 2004….during the Saints bye week that season. The Saints schedule would again come into play this year for the couple’s vow renewal: their actual anniversary is next Wednesday, October 29. However, next Wednesday, the team will be in Charlotte, preparing for Thursday’s crucial primetime game against the Carolina Panthers. 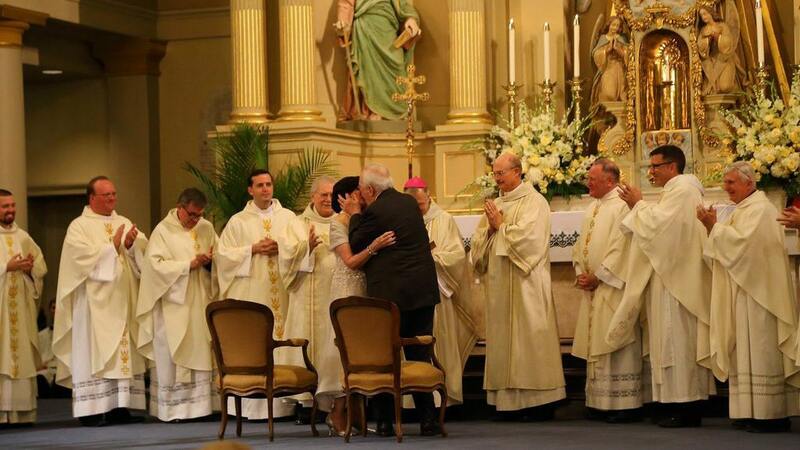 Instead, the couple exchanged their renewal vows a week early, surrounded by nearly 1,000 friends and family at St. Louis Cathedral. 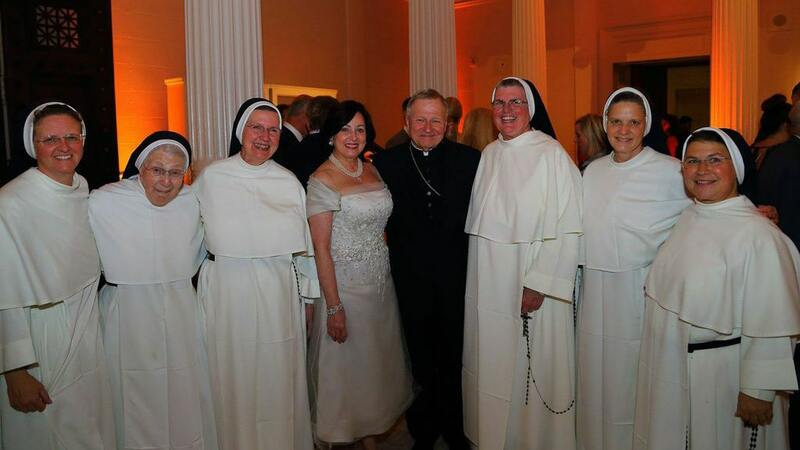 Archbishop Gregory Aymond, a close confidant of the Bensons, officiated the ceremony. 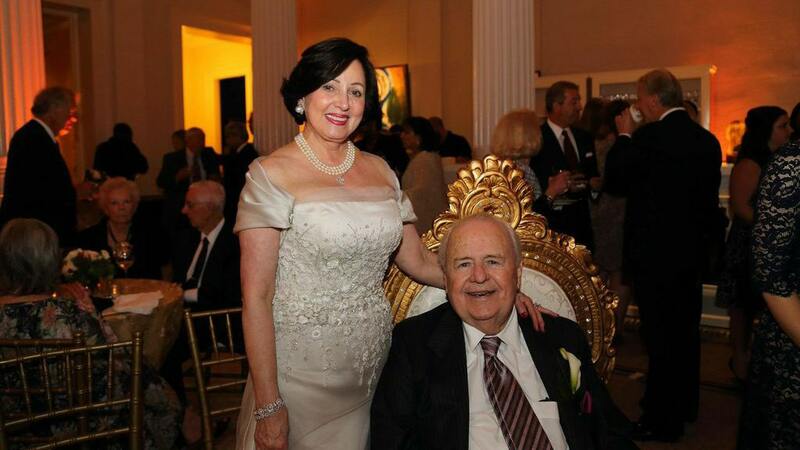 After the vows, guests helped the couple celebrate at an elaborate reception at the New Orleans Museum of Art. Benson, now 87-years-old, took photos alongside his guests and his bride for much of the evening. Guests included French Quarter entertainer Chris Owens, Tulane football coach Curtis Johnson and numerous coaches and staff members of the New Orleans Saints. The Saints play the Green Bay Packers in primetime this Sunday at the Superdome before traveling to Charlotte on a short week for Thursday’s game against the Panthers.